About 10 percent of Europeans infected with HIV contract a strain of the virus that is resistant to at least one AIDS drug, according to the first large-scale study of the problem. Scientists have known that HIV can become resistant to drugs and that resistant strains can be spread, but the extent of the transmission has not been clear. Resistance, which is mainly caused by patients not taking medications properly, is a problem because it makes the disease more difficult to treat. Dr. Peter Piot, executive director of UNAIDS, said the findings presented Wednesday at a conference of the International AIDS Society are the most reliable to date. Piot, who was not involved with the research, said the extent of resistance was not surprising, but it serves as a warning that the delivery of drugs in poor countries needs to be done carefully. "It reminds us that when we introduce antiretroviral therapy we've got to do it well," he said, adding that a universally followed standard prescription for initial treatment should be part of the strategy. Kevin Frost, director of Treat Asia, a program of the American Foundation for AIDS Research, said the results show the world is at a crucial point with AIDS treatment. "We are in a somewhat volatile period right now and the therapeutic anarchy that is going on — we have to get a handle on it," Frost said. "Doctors have the freedom, especially in the West, to prescribe whatever they want. There are 19 drugs approved in the United States now with 21 or 22 formulations ... It means there are hundreds, if not thousands, of potential combinations," he said. In the developing countries, doctors prescribe what they can get. But what they can get is often not what they should be prescribing, Frost said. "We have to take our best shot first," he said. "If we use the right regimens and we use them correctly, we can minimize the opportunities for the development of resistance. If we don't get it right, we could be in for serious problems long-term in developing countries." The study, led by scientists at the University of Utrecht in the Netherlands, involved 1,633 HIV patients from 17 European countries diagnosed between 1996 and 2000. It found that 9.6 percent of newly diagnosed HIV patients in Europe are infected with a virus that is resistant to at least one drug. 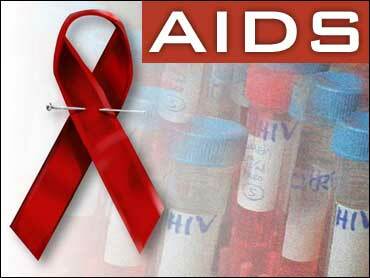 About 2 percent had an infection that does not respond to two or more types of AIDS drugs. Patients infected with strain B, the most common one circulating in Europe and North America, were four times more likely to get a resistant infection than those who contracted other varieties of HIV, said one of the investigators, David van de Vijver, a researcher at University Medical Center in Utrecht. Experts say some level of resistance will likely to continue. However, Dr. Joep Lange, president of the International AIDS Society, estimated the rate of resistance would be around 2 percent if people start on a good triple drug combination and take their drugs properly. "For people who have difficulty adhering, make sure they have support mechanisms to help them," Lange said.